Late last year we had a trip to Majorca booked, as our last trip as a family of 3. A couple of weeks before we we were due to fly, the airline we had booked with went bust and to re book on another airline was extortionate so we decided to try something we’ve never done before: A staycation. One of the best things about a staycation is that you have really low expectations about the weather! We knew it would be rainy, miserable British weather, so we planned for that. We’d heard about Calcot Manor through friends who had recently been and raved about it, and managed to get a 3 night stay at the last minute. 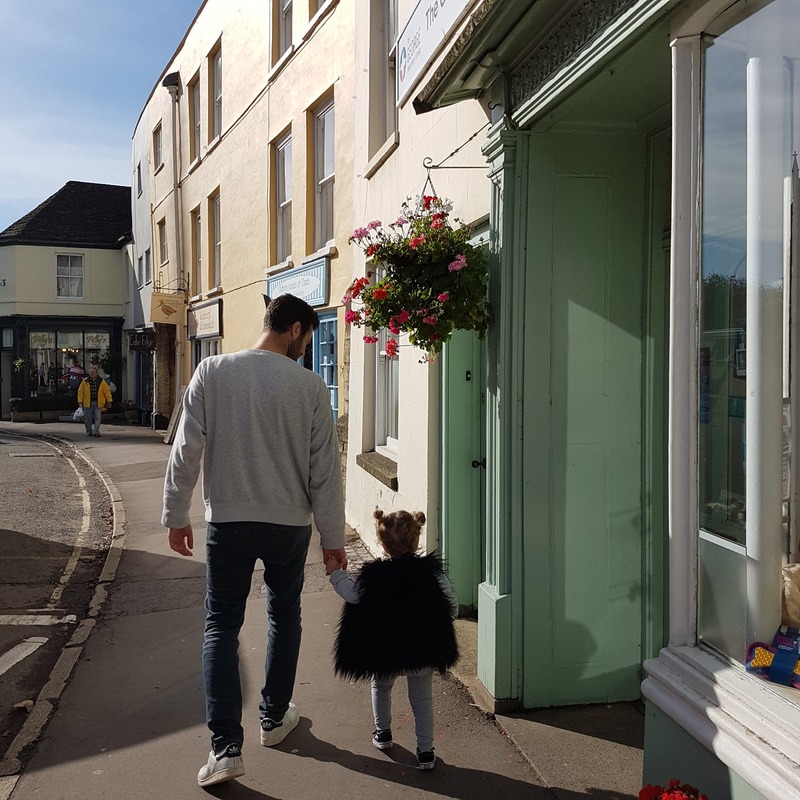 Just over 2 hours drive from London – They love kids. 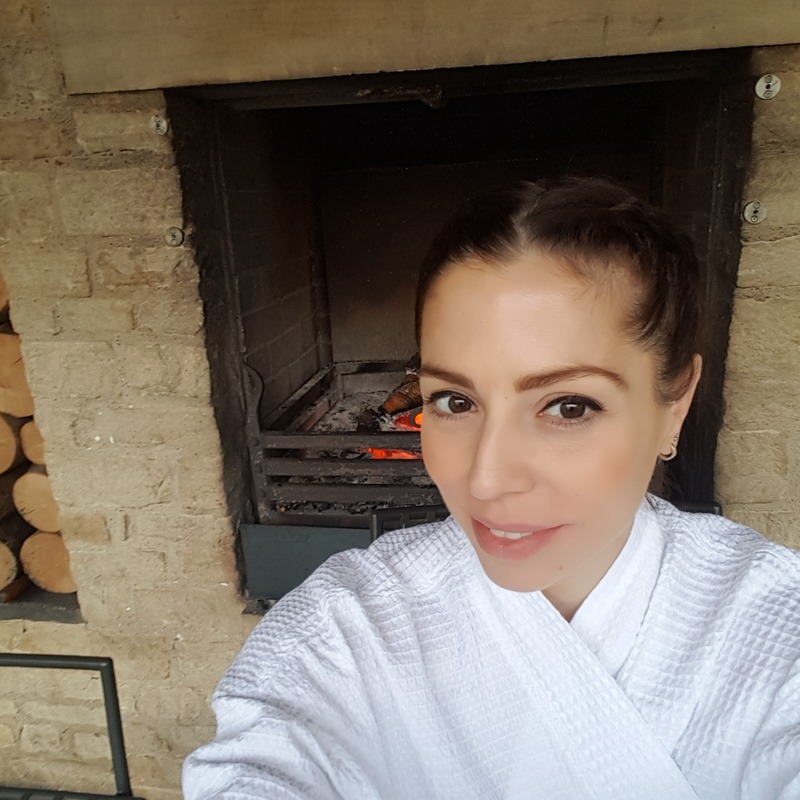 It’s the perfect balance of a beautiful luxurious country hotel, but very accepting of children, without being too overun with children and kiddy things. – They have a ‘Playzone’ which is an amazing creche where you can leave your kids with Ofsted registered staff FOR FREE. So we escaped to the spa for a couple of hours each day, while Belle played with loads of toys and was so content there. – They have specific family friendly rooms, most with a separate area for your children so you can Netflix and drink tea (come on, none of you actually Netflix and Chill do you?!) while your baby sleeps. We booked too late to be able to get one of these rooms so Belle was in a travel cot in our room. The beds are huge so it didn’t really matter that we had a visitor sleep with us from 4am…. 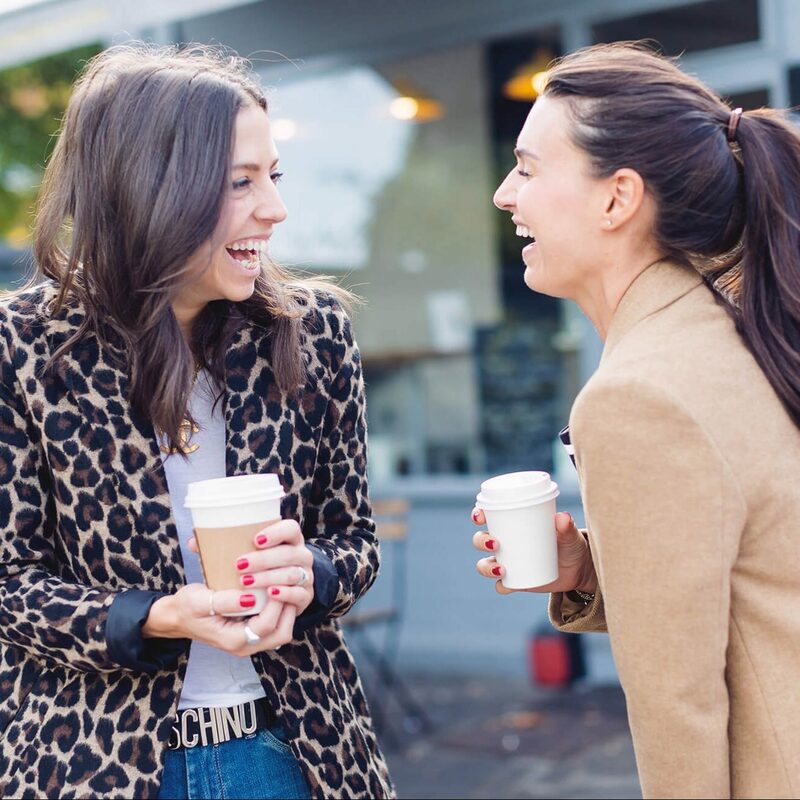 – They have a ‘listening service’ so you can go off for a date in one of the 2 restaurants and someone will notify you as soon as your baby makes a sound so you can go and check on them. The rooms are less than a 2 minute walk from the restaurants. – There is everything you need for your children. 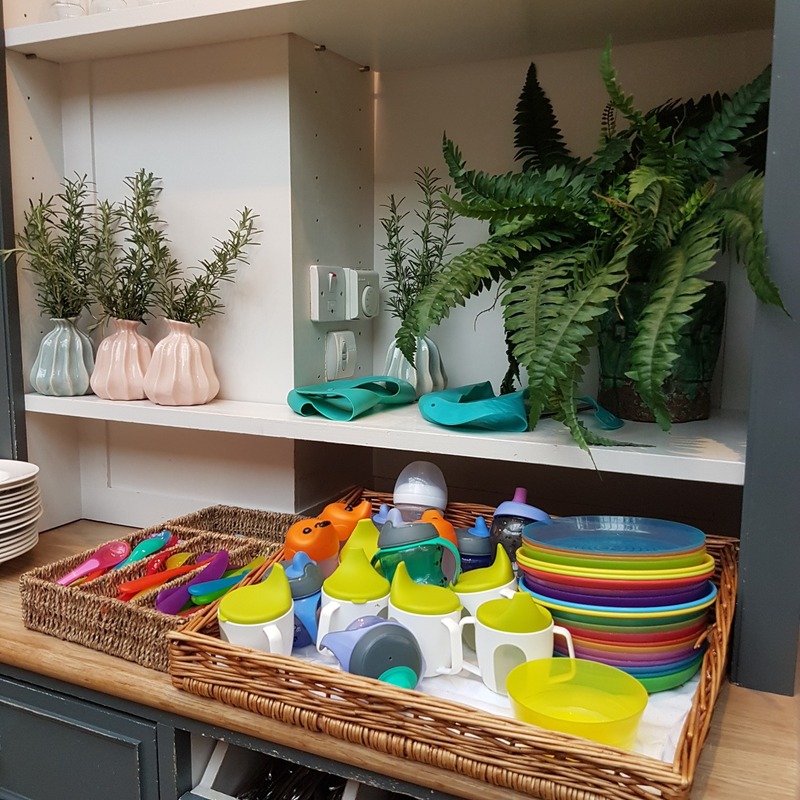 Bath lotions and potions, books in the room, cutlery/crockery at every meal, childrens menus, plug socket covers – they’ve thought of everything. 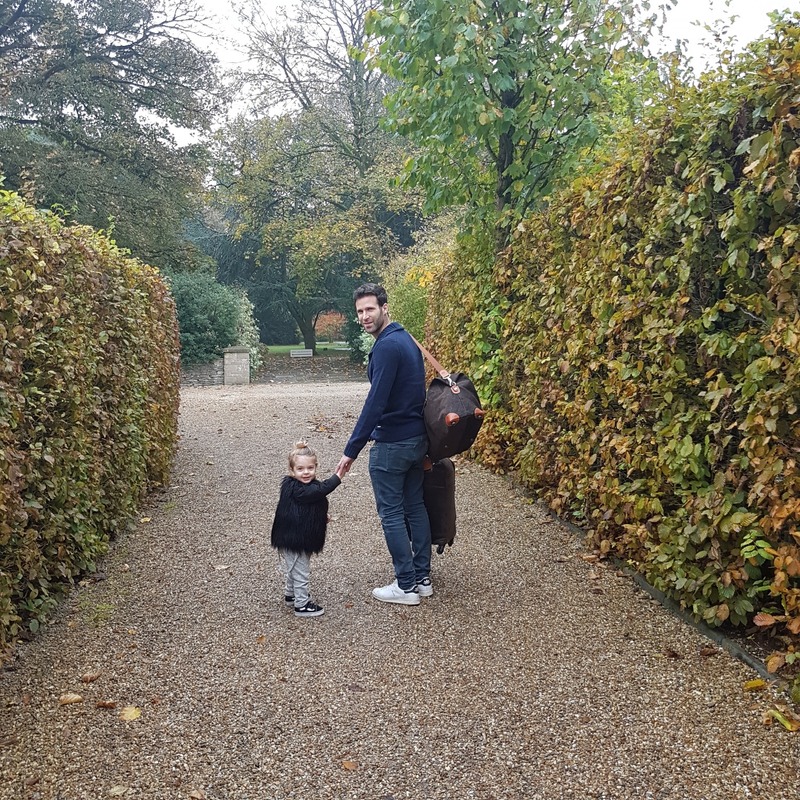 – The grounds are beautiful, we put on the wellies hat they provided and splashed in muddy puddles while wandering through the fields. – The indoor pool had designated kids times – so if you didn’t fancy being splashed then you could just go during the quiet times. They love kids. 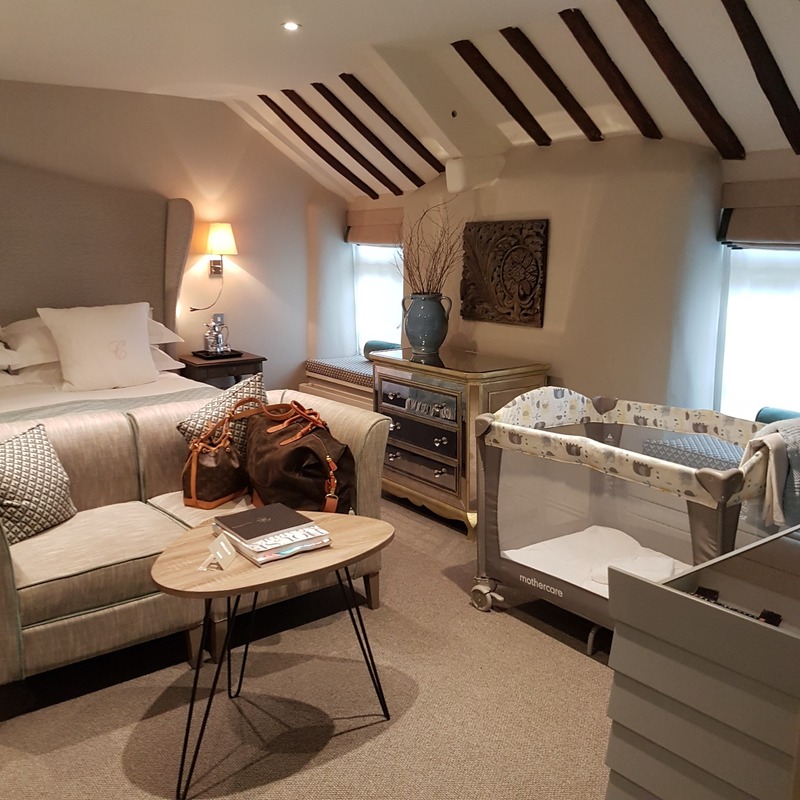 It’s the perfect balance of a beautiful luxurious country hotel, but very accepting of children, without being too overun with children and kiddy things. They have a ‘Playzone’ which is an amazing creche where you can leave your kids with Ofsted registered staff FOR FREE. So we escaped to the spa for a couple of hours each day, while Belle played with loads of toys and was so content there. They have a ‘listening service’ so you can go off for a date in one of the 2 restaurants and someone will notify you as soon as your baby makes a sound so you can go and check on them. The rooms are less than a 2 minute walk from the restaurants. There is everything you need for your children. Bath lotions and potions, books in the room, cutlery/crockery at every meal, childrens menus, plug socket covers – they’ve thought of everything. 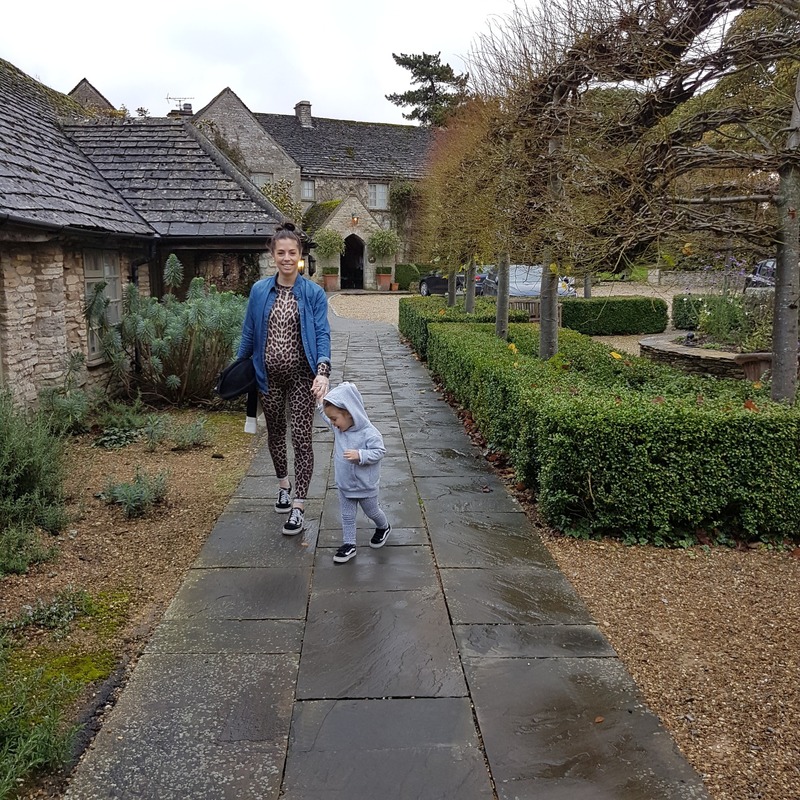 The grounds are beautiful, we put on the wellies hat they provided and splashed in muddy puddles while wandering through the fields. The indoor pool had designated kids times – so if you didn’t fancy being splashed then you could just go during the quiet times. We tried to book in for a 4th night but they were full!! 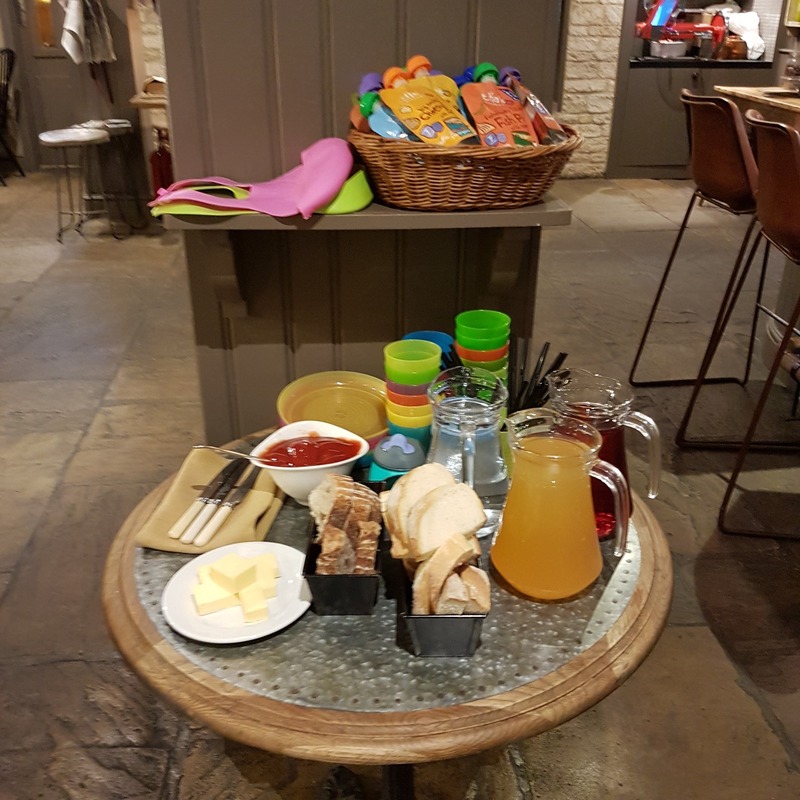 Calcot Manor: Calcot, Near Tetbury, Gloucestershire, GL8 8YJ. 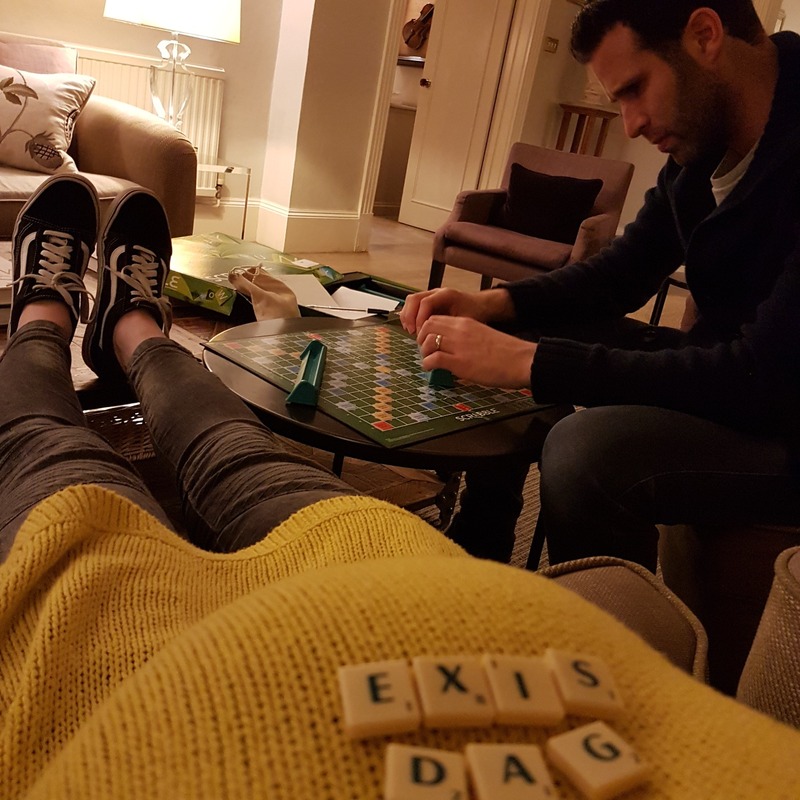 Date night – we had dinner, then even managed to stay awake enough for a game of scrabble in the lounge. Wild!